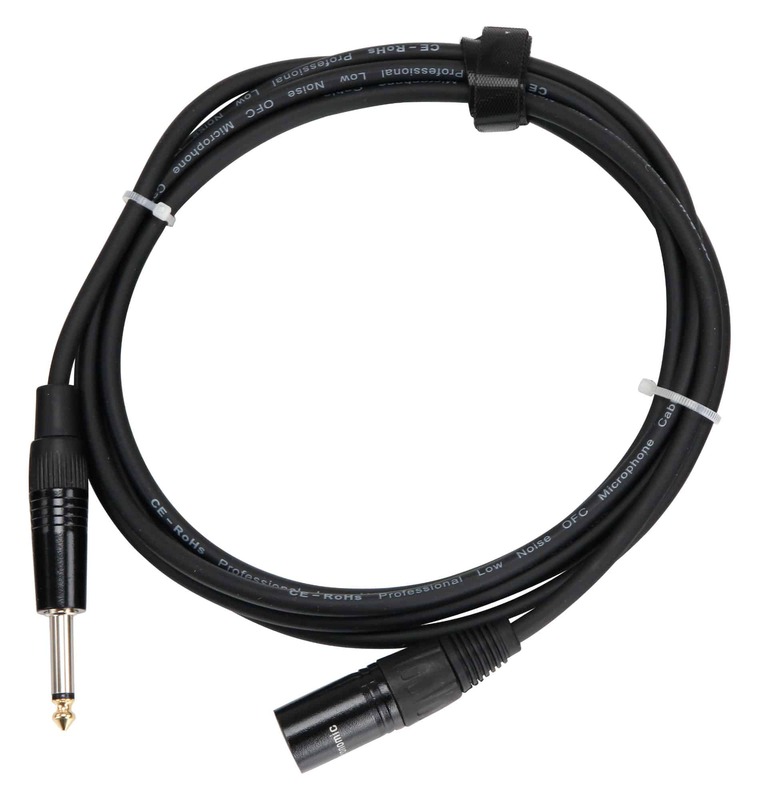 This Pronomic Stage Pro-Line cable boasts clean audio transmission and long-lasting components. The high-quality connectors and flexible yet strong outer sheath are the perfect match for the stage and won't let you down in even the most challenging situations. Only oxygen-free copper is used in the production of the Stage Pro-Line cable. This provides long-lasting, dependable quality and protects against corrosion. The connectors are hand-soldered and provide chuck type strain relief so that the solder joints are free from force. A high-density copper shield effectively protects the audio signal from impact sound and electromagnetic radiation, such as that generated by power cords and cables. We are also environmentally conscious and taken steps to ensure the packaging is free from plastics and comes from a low-emission production. The Stage JMXM is a professional, asymmetrical audio cable, which is mainly used as a connection cable for the AUX OUT monitor jack on an active monitor or with the XLR connector on an amplifier. Other possible uses include using a small mixer jack output to connect to speakers or amplifiers with XLR inputs. It also works well with home studio wiring. Was soll man schreiben, eingesteckt und Kabel vollrichtet sein Dienst. In dieser Länge mit den Steckern gibt es komischerweise nicht so viel Auswahl an höherwertigen Kabeln. Aufgabe war es, die Inserts am Mischpult als Direct Outs für Aufnahmen zu nutzen. Klappt hervorragend. Praktisch auch die an und für sich nur zum Zusammenhalten der Lieferung gedachten kurzen Klettkabelbinder, die ich aber nur fürs Gruppieren von Kabeln verwenden konnte. Einzig negativ bewerten würde ich, dass die einzelnen Kabel nochmal in einer Plastiktüte verpackt und zusätzlich recht eng mit einem Plastikkabelbinder zusätzlich zusammengebunden waren. Günstig, ein Kabel das sein Geld wert ist und seiner Bestimmung nach voll meiner zufriedenheit entspricht. Optimale Verbindung zwischen Boxen und Mischpult. Stecker und Kabel sehr gut verarbeitet. Für das Geld absolut Top !